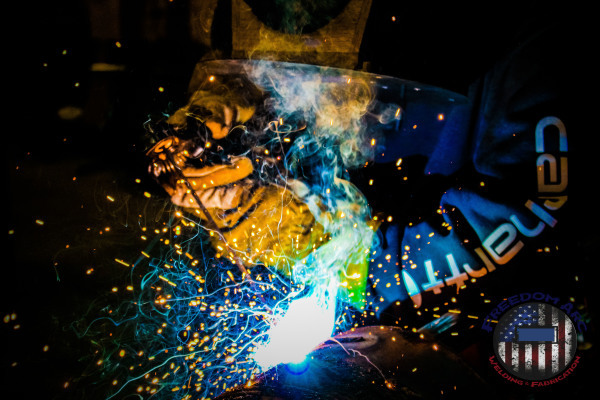 what we offer is custom welding and fabrication, heavy structural welding, heavy equipment metal repair, hard facing, mobile welding services, western, rustic and industrial interior creations, that will include end tables, sofa tables, coffee tables, coat racks, etc. with hair on hide accents and Black Hills blue stained beetle wood ! Lamps, fireplace accessories, wine racks, horseshoe art, timber gussets, and driveway address entry design signs to name a few, and whatever you can dream up and want to become a reality !! And don't forget our custom logo designed T-shirts, Hoodies, Caps and Decals to be offered !!! 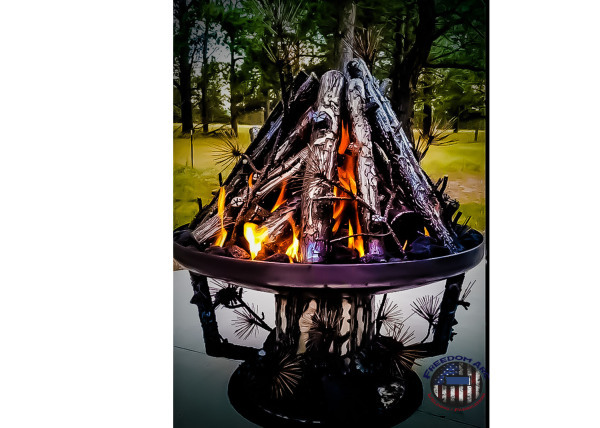 Our signature all steel, gas, "Freedom Firepits" are beautiful and so realistic, filled with detail and feature logs, pine bows, branches, stainless burner rings and black lava rock ! They will be offered in 24", 36" and 48" diameters for those with natural gas or propane, or let us know what you want for that real wood burning fire ring/pit !! 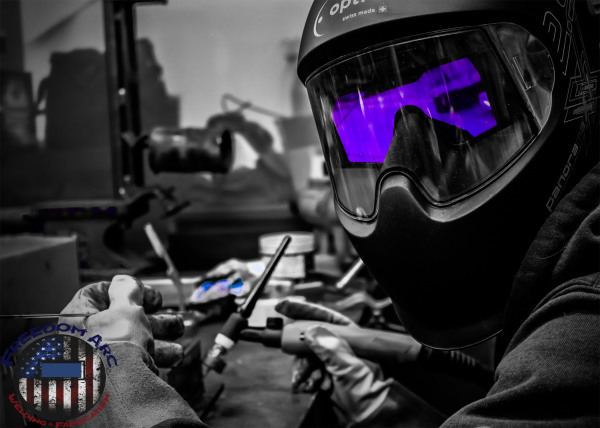 We are Certified Welders in SMAW (stick) and GMAW (mig/wire feed), all positions in AWS D1.1, and also pipe certified in ASME B31.3, & API 1104 and strive for perfection in everything we do. We can create just about anything you can dream up. From wine racks to coat racks, sofa tables, end tables, lamps railings, off-road bumpers, gold sluice boxes and plasma cut signs just to name a few. 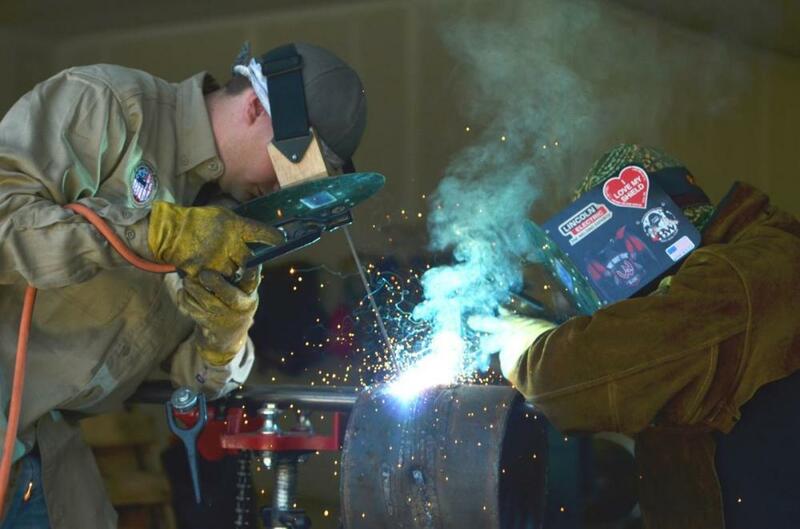 If you have an idea for a fabrication project we will work with you to make it a reality. 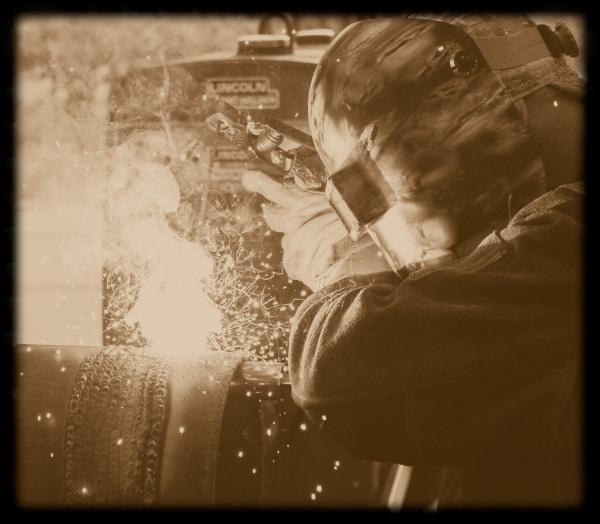 We provide in shop repair work as well as mobile welding services. For in shop repairs we have a $75.00 minimum and a $150.00 minimum for mobile services. Our unique fire pits are unlike any other. So much natural detail you would think its wood instead of steel. We offer 24, 36 and 48 inch pits that come complete with gas burners. Just add gas and you'll be the envy of the neighborhood during your next get together. 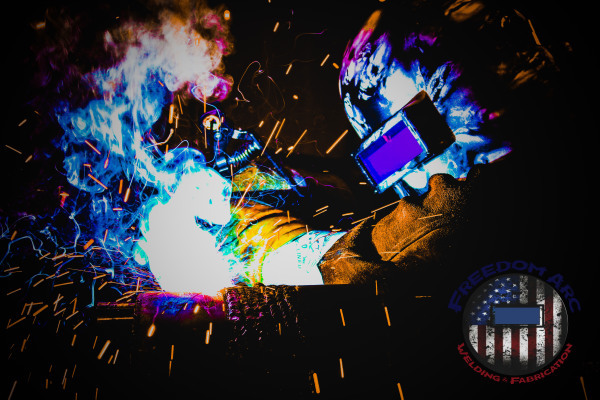 Keep up to date with FreedomArc Welding and Fabrication. Find out what we've been up to and what new products we'll be offering.